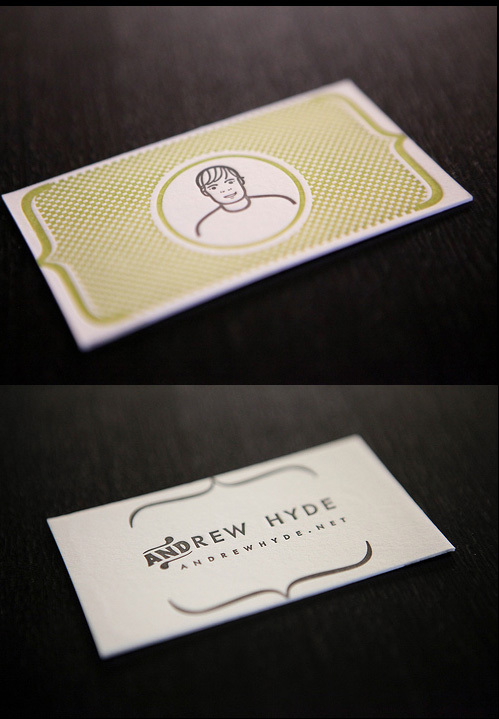 A true collaborative effort between client, Andrew Hyde & designer/letterpress printer, Allison Bozeman. Double-sided on 600gsm/220# lettra. Business card printed on a century old, hand-fed letterpress.